Nobel Prize winner Max Delbrück was a founder of the field of molecular biology. In the late 1930s he helped establish the molecular biology and research program which stimulated physical scientists’ interest on gene research. Together with Alfred Hershey and Salvador Luna, he formed the Phage Group of scientists in 1945. The Phage Group made discoveries towards explaining vital aspects of cell physiology. In 1969, the Nobel Prize for Physiology or Medicine was awarded to these three scientists for their work concerning the replication mechanism and genetic makeup of viruses. 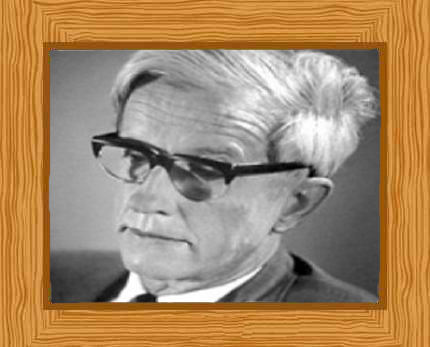 Max Delbrück also predicted Delbrück Scattering, the deflection of high-energy photons in the Coulomb field of nuclei as a result of vacuum polarization. Max Delbrück was born in Berlin, German Empire on 4th September 1906 the youngest of seven children. His father, Hans Delbrück, taught history at the University of Berlin and his mother was the granddaughter of eminent chemist Justus von Leibig. He lived in Grunewald which was a suburb in Berlin populated by moderately affluent families. Initially grew up during a period of affluence and warm hospitality but the First World War years, 1914 to 1918, were marred with death, hunger, and cold. It was then followed by a period of post war inflation, impoverishment and revolution. His keenness for science was evident even during his boyhood when he had an interest in astronomy. Max Delbrück attended the University of Gottingen where he studied astrophysics initially, switching later to theoretical physics. He earned his Ph.D. in physics 1930 from Gottingen. Delbrück then moved around to England then Denmark, and Switzerland. It was during this time that he met Neils Bohr and his lecture “Light and Life” inspired Delbruck’s interest in biology. However, Delbrück was also now interested in biology and began to study that field of science. Delbrück left Nazi Germany in 1937 and, attained a fellowship from the Rockefeller Foundation in 1937 at the California Institute of Technology (CALTECH) where he began to study biology and genetics and the reproduction of bacteriophages. At that time, CALTECH was launching the molecular biology research program to research into fruit fly genetics. In 1938 he met biologist Emory Elis and Delbrück became interested in the bacteriophage research that Elis was conducting to understand the role of viruses in cancer. A bacteriophage or phage, is a virus that infects and replicates within bacteria. Phages, like other viruses, cannot exist without a suitable host. In 1939, they published their paper “The Growth of Bacteriophage” which detailed how viruses reproduce in one step, unlike cellular organisms that reproduced exponentially, and detailed a technique to quantitate and monitor the growth of phage in a specific host. Delbrück’s role with the Rockefeller Foundation ended in 1939 but, wanting to remain in America, Delbrück joined Vanderbilt University in Tennessee and from 1940 to 1947 teaching physics. He also continued his bacteriophage research at the Cold Spring Harbor Laboratory on Long Island in New York. He married May Bruce in 1941 and they had 4 children together. Delbrück met Italian microbiologist Salvador Luria from Indiana University in 1941 who was conducting bacteriophage research and together in 1943 they published “Mutations of Bacteria from Virus Sensitivity to Virus Resistance”. Their ground breaking research material confirmed that phage resistant bacterial strains form through a process of natural selection. Their work also detailed the experimental technique and the calculations for measuring mutation rates. Together with Alfred Hershey and Salvador Luna, he formed the “Phage Group” in 1943, scientists involved in studying bacteriophages. The Phage Group made discoveries towards explaining vital aspects of cell physiology. In 1944 the Phage Group outlined guidelines, “The Phage Treaty of 1944” to ensure consistency of research between the various research groups. Delbrück became a US citizen in 1945. Delbrück and Hershey separately discovered “genetic recombination” in 1946, where the genetic material of different bacteriophage strains invade a bacterial cell and then combine to create new types of viruses. In 1947, he returned to Caltech as a professor of biology and remained there for the rest of his career. During the late 1940’s and 1950’s he became interested in sensory perception and studied the fungi Phycomyces to establish how it uses light and how light affects its growth. He continued his sensory perception research until he retired. Delbrück founded the Institute of Genetics in Cologne, Germany in 1959 to encourage research in molecular biology in his birth country. In 1969, the Nobel Prize for Physiology or Medicine was awarded to the three scientists for their work concerning the replication mechanism and genetic makeup of viruses. During his later years Delbrück focused on helping to spur the interest of physical scientists into the field of biology. In fact, Erwin Schrodinger relied on his inferences on the susceptibility of genes to mutation when he wrote his book “What is Life?”. In 1977, Delbrück retired from his teaching position in Caltech and became Professor of Biology Emeritus. Max Delbrück left the world at the ripe old age of 74 on 9th March 1981. He died in Pasadena, California at Huntington Memorial Hospital.